Have you ever felt so off, unhealthy, sluggish, etc. yet the doctor said your blood test came back “normal”? They tell you that your symptoms are “sub-clinical”, a fancy term of saying “it’s all in your head”. Not only that you feel awful, now you are a “crazy drama queen”!! How can things be all normal when you know and feel that something is just not right? Well, that’s because they typically order incomplete blood test panel, read the blood test differently, and they miss a lot of important things…the things that matter most to you! 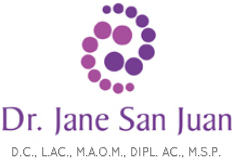 Dr. San Juan will give you the complete picture of your health by looking at your blood chemistry. When your lab results fall within the patterns of a functional imbalance, comprehensive strategies such as lifestyle, diet, nutrition, and other non-invasive therapies may be recommended. - Isagenix Internationals (for weight loss).